Packing my bags for my childhood home. My soul is stirred up like a mixer on high in a bowl full of cake batter splattering all over the kitchen. I feel gratitude. Grace. Homesickness. Happiness. Sadness. I have hard memories. I have wonderful memories. I have a faithful Savior who has promised to meet with us this weekend. Heading back to where you were raised rouses up all sorts of things. I love those hills and I am profoundly blessed and humbled to head back to Arkansas. Land of Opportunity. Arkansas, oh, what you do to me. Prettiest place I ever saw. Yep, I’m going back home to Arkansas. Because of our wonderful Siesta Scholarship Fund, we have the joy of offering comp tickets to the Living Proof Live event Friday night and Saturday till noon to the first 20 Siestas who call our LPM office during business hours. If you would like to come to Little Rock LPL but can’t afford a ticket, call toll free 1-888-700-1999 and ask for Kimberly or Susan. And tell them I told you how much I love them and appreciate them when you call. I’m crazy about you guys. Thanks for praying for us! Your surveys were incredibly insightful so rest assured that I am taking you with me in spirit this weekend. This entry was posted on Thursday, April 14th, 2011 at 10:20 am	and is filed under Uncategorized. You can follow any responses to this entry through the RSS 2.0 feed. You can skip to the end and leave a response. Pinging is currently not allowed. I am loving reading the comments about LPM last night in the Rock. I remember my first Bible study “Ancient…something” when I was still only 17 and thinking I don’t get it…I don’t have any ancient ruins yet! Well at 31…I have found a few and wow am I blessed by Beth Moore now more than ever. I pray feverishly that lives are touched this morning in my sweet state of Arkansas. All your Pudens had a great time! THanks for ministering to us all! I want to thank you so much for your ministry this weekend in Little Rock! I felt like a dripping wound that was far from being healed when I walked in the doors Friday night. My regrets, mistakes and sorrows were set free with your help. I left today feeling my wounds healing and my burdens being set free. You are a truly amazing woman and want to thank you so much for what you have done for me. You and God freaked me out this weekend and I love it!!!! 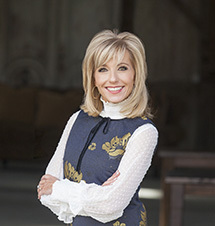 Confession time: Sometimes I worry that I’m a Beth Moore groupie (nothing personal, that just isn’t a label I wanna wear…..please don’t be offended, I love your guts but: I just wanna be a Jesus groupie!) Then I get to one of your events and you disappear off center stage and THE great I AM fills (oh, for a BOLD button here) FILLS the place and I am swept away by His presence!!! I leave thanking God for your faithfulness to the ministry He has given you and that your words speak in a way my heart truly hears HIM. Hope your trip home was cleansing and refreshing all at the same time….Thanks for the group pics with all us Siestas! By the way…….What on earth is a “slanket? Is this a Texas version of the “snuggie”? I looked up what a slanket was while she was talking, yep I’m bad I know but my friend nad I looked at eachother and said what on earth is a slanket. http://www.slanket.com, it’s the original blanket with sleeves, so I’m pretty sure its a snuggie. I had a feeling…….thanks for the info! do you know where we can see the group pics Mama took with us? i know it’s flickr, but can’t figure out what to search for…thanks! Thank you Beth and Praise Team for coming to Arkansas. Beth you are a truly gifted speaker. Indeed, God showed up and freaked me out! Travis, you and the praise team rocked my socks off! Awesome! I most definitely have received some healing! I cannot tell you how tremendously blessed I am to have reached my breaking point this weekend. Now that my heart has broken for His sake, he can make me into the beautiful vessel He wanted me to be. I pray more blessings on all the ladies present in Little Rock’s LPM and for the duration of your race, Beth. Oh and I’d like to follow Shari’s updates on her cancer battle. She is fierce and a force to be reckoned with. Anyone who can stand in an audience of thousands and share something very personal about themselves is stellar in my book! She’s already won the ultimate battle, but I’d like to help pray her through the rest. If anyone knows how to keep up with her, please let me know. I tried to post on Fri. and it didn’t work. I’m a full time missionary in Tijuana, home for a few weeks caring for my dad after his bypass surgery. I made last minute plans to come to the event and after reflecting on the event, I think I might have come to hear you, Beth, and hopefully to get a glimpse of Jesus while I was there. But man o man am I thankful that Jesus had other plans. I feel like I got a glimpse of you and a whole lot of HIM!! I left reminded that JESUS IS EVERYTHING and wow He loves me and YES Lord, I love you too! 🙂 I had no idea what you would be speaking on but the whole idea of community was exactly what I needed to encourage me and prepare me to go back. I’ve really been struggling with loneliness in my ministry and being a single 31 year old, but the whole time God just kept pouring into my heart (I should’ve worn waterproof mascara!) and reminding me of His faithfulness and strength. O it was so precious to be in His presence. Thank you for bringing it home to Arkansas! The best part about that is that my cousin/best friend who led me to Christ a little over 10 years ago (and I am a miracle pulled out of a DEEP pit of drugs, etc.) was the person that I got to turn to and speak to/hear from. We bawled and snotted the whole way through it! Last night I got a text from her that said, “goodnight pudens, love you! :)” Thanks Beth for bringing the Word home! Our Heavenly Father is so wonderful to take the time to answer even small questions. While doing the homework you gave during Friday nights conference, I thought what about what about me, what have i done or not done in my similar relationships in the faith: near&dear, dear&far, close by/less close tie, disappointments, perceived dangers. On Saturday, God answered my question when you shared the video “Denver the Dog”. I hope that is the correct title of the video. I love how God helped you to “tie it into” the topic lesson “Fulfilling My Ministry in the Wild of Community. WOW!!! I don’t think I can express the blessing my mom, sister and I experienced this weekend in Little Rock with you and Travis and the praise team. I had just completed the Esther bible study and was saying to my husband I need more I am not full yet. I am still not full! HAHA! I could just feel the presence of God from the moment I walked into the arena. God is so awesome and I enjoyed being Freaked out!! I have never before in all of my Christian life wanted to shout and dance before the Lord but I did this weekend. Thank you Beth and Travis Cottrell and praise team. I needed that refreshing drink from the spirit of God!!! Thank you for being a southern woman!! Moore conference. Wow, what a blessing! It was an amazing experience to look around Verizon arena and see almost 9000 women of different denominations who were all there to worship the one and only Christ! God’s presence permeated the arena even before the worship team or Beth began! I think each and every woman who was willing, heard God speak to her! This has been one of the most wonderful experiences of my life! Thank you Beth for being so willing to expose all of the stuff you bring with you on Gods mission which allows each of us to know we are not the only ones bringing baggage to His throne. My life is forever changed! Wow, wow, wow!!! What a great encounter I had this weekend! I don’t have enough exclamation marks to make about the difference Jesus brought to me this weekend…i left so refreshed and ready to fulfill the next move (literally) my husband and I will make in ministry. This teaching was so timely and relevant for my heart…thank you so much for investing in your “Puddens” so joyfully! But you, keep your head in all situations, endure hardships, do the work of an evangelist, discharge all the duties of your ministy. Praising the Lord for what He did through you at the conference in Little Rock. My two beautifull daughters gave me this trip as a birthday gift and we began to pray a couple of weeks before that God would have a Word for us. And, oh, yes, Puden, He did. It was an awesome weekend and we are thanking God for you and your ministry and the way He speaks through you. I am so thankful for my weekend at the Living Proof conference. I was so blessed by the worship music and the words of Beth. I had no clue what I was walking into but for her to talk about going back to the past to move into the future threw me for a loop. I have been in counseling for about 9 months now trying to deal with my past. I am now convinced that God is working so much in my life that I need to fully trust Him and listen to His words more. I can only walk around and keep thinking of all that I learned this weekend. Thank you Lord for allowing me to be there and listen to the words that you wanted me to hear!! Well, Little Rock was as amazing as I knew it would be. Thank you so much for coming. I was “back home”, too. Came from Dallas..my plane was full of “Beth Moore” Girls! Greatest time. Able to sit w/my AR home church girlfriends from Cornerstone Bible Fellowship, 2 from my home town in south AR. Great conference, great friends, just plain great seeing you, Beth….”my best friend”. The Spirit of the soveriegn Lord is on me, because the Lord has anointed me to preach good news to the poor. He has sent me to bind up the brokenhearted, to proclaim freedom for the captives and release from darkness for the prisoners. THANK YOU SIESTAS!!!!! We adopted a sweet little girl from Ethiopia 6 weeks ago and have another little boy already so we now have a 2.5 yr old and a 3 yr old. This mama was a VERY tired and honestly VERY broke mama after months of paperwork and then a month of crazy transition. But thanks to you I got a get away blessing to Little Rock. Just wanted to say thank you “in person”. Feel free to check out our blog, we got some pretty cute kiddos if I do say so myself! Neither of which look like me so I can brag! I was also so thankful to Beth for wriitng an entire message JUST for me, isn’t God so good! Love you guys!